These are Premium A grade Red Shop towels 100% cotton. 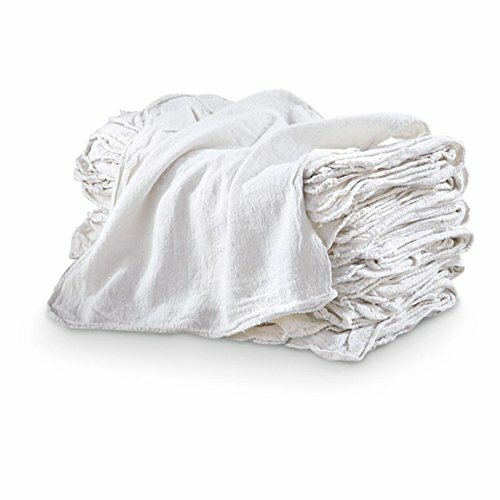 They are made out of Osnaburg fabric construction.These are absorbent, durable and hemmed on all four sides. Excellent for Wiping Spills, Grease, Oil, Tools, Grime and Fluids For use in Industrial Facilities, Factories, Machine Shops, Garages, On The Job, Auto Centers and Home Garage. 155 lbs Quality. Red Color is fast and will not bleed. If you have any questions about this product by HMF, contact us by completing and submitting the form below. If you are looking for a specif part number, please include it with your message.